Adam Beyer‘s music is synonymous with all that is exciting about electronic music today. Having emerged as the figure head of the hugely prolific Swedish techno scene Beyer has now confirmed his position as a globally recognized DJ and producer, headlining the world’s finest events week in week out. His acclaimed Drumcode label has been at the cutting edge of club music for well over a decade; now for the first time Adam takes to the airwaves with a new weekly radio show. 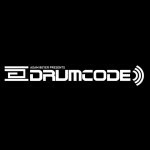 Featuring exclusive live performances, cutting edge studio mixes, artist profiles and previews of exciting material on the Drumcode labels, this show is set to be a sure fire hit with electronic music fans worldwide.